A collaboration between sister companies Tatuaje Cigars and L’Atelier Imports, the Négociant Monopole delivers a creamy smoke with crisp notes of cedar, citrus, pepper, and more. Boasting a refined medium body and an enticing flavor profile that evolves as you burn, this boutique tobacco blend inspired by the wine industry owes its smooth sophistication to a combination of golden-brown Ecuadorian Connecticut wrapper over Mexican binder leaves and Nicaraguan fillers. 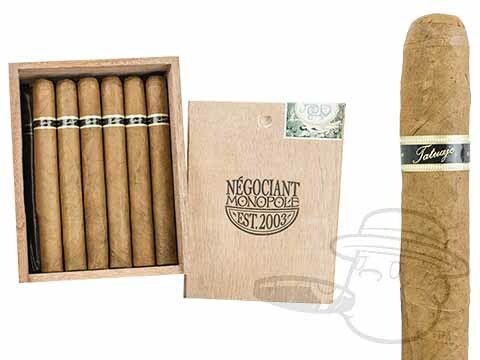 Aromatic, complex, and loaded with savory character, Négociant Monopole will not disappoint - get yours here at the lowest prices anywhere.